Make the morning walk with your dog a pleasant one with this Dogspot Active Rope Leash. Made with the soft and sturdy material, this leash is designed by experts who know how a quality leash matters. 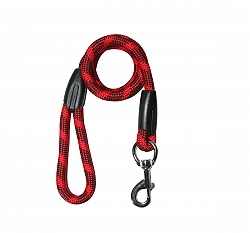 This leash is designed with high-quality fabric which makes it strong and sturdy. 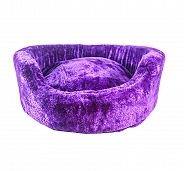 The design is elegant and suitable for any small-sized dog. This premium leash comes with durable stainless steel swivel hook which ensures the safety of your dog. This leash provides required comfort to a dog while walking and running. This leash is designed to provide great grip and is durable making it a must-have for your dog! Specially designed with the soft and sturdy material, this leash is very strong and sturdy and works great even if your dog is a heavy leash puller. Made with high-quality fabric, this leash is suitable for any small-sized breed dog. The quality swivel stainless steel hook is durable and rust-free, providing ease to use. Comes with comfortable hand grip and elegant design for your loving dog!